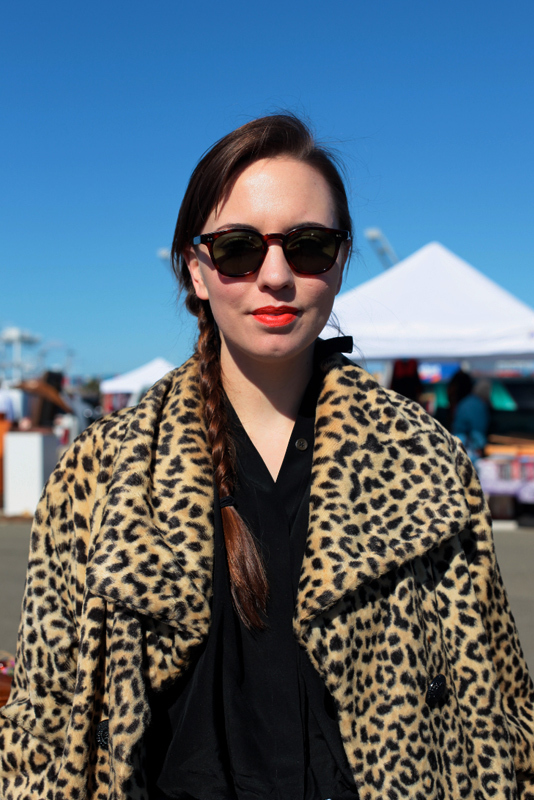 That faux fur coat, that lipstick, and those great shoes. 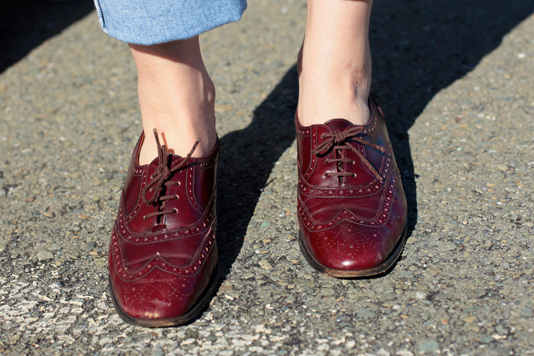 A closer look at those oxfords. 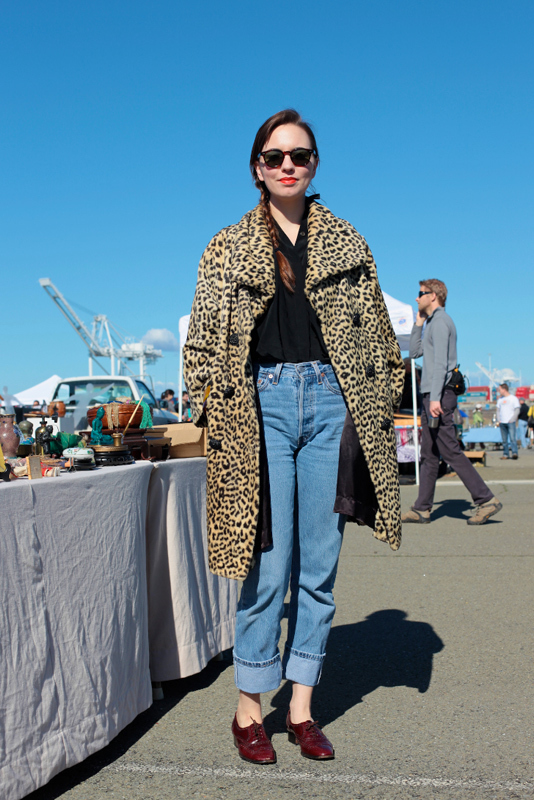 One great coat is all she needs.